Know your labels Concealer is the best way to hide your "I just watched the entire Season 2 of 'Orange is the New Black' in one night" under-eye bags and trick everyone into thinking you're functioning on a full eight hours of sleep. But finding a concealer that will do this and appease your easily disgruntled eyes can be a bit of a chore. Make sure you look at the labels for buzzwords like hypoallergenic and non-comedogenic, because these are specially tested and formulated to not cause allergic reactions or clog pores, says Dr. Wolf. 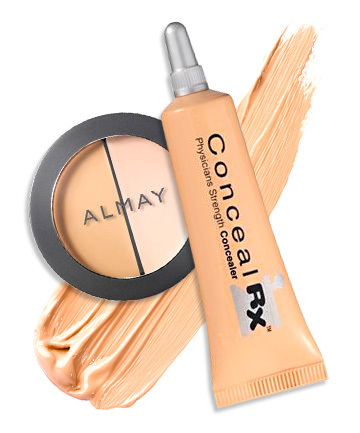 She notes that fragrance-free and oil-free concealers are also less likely to anger your eyes. In all your makeup, it's also good to steer far away from any products containing nickel, lanolin or rosin -- these can cause skin sensitivities and allergic reactions.